Whisk olive oil and lemon juice in small bowl to blend. Season dressing with salt and pepper to taste. Cut off peel and white pith from oranges. Using small sharp knife, cut between membranes to release segments. 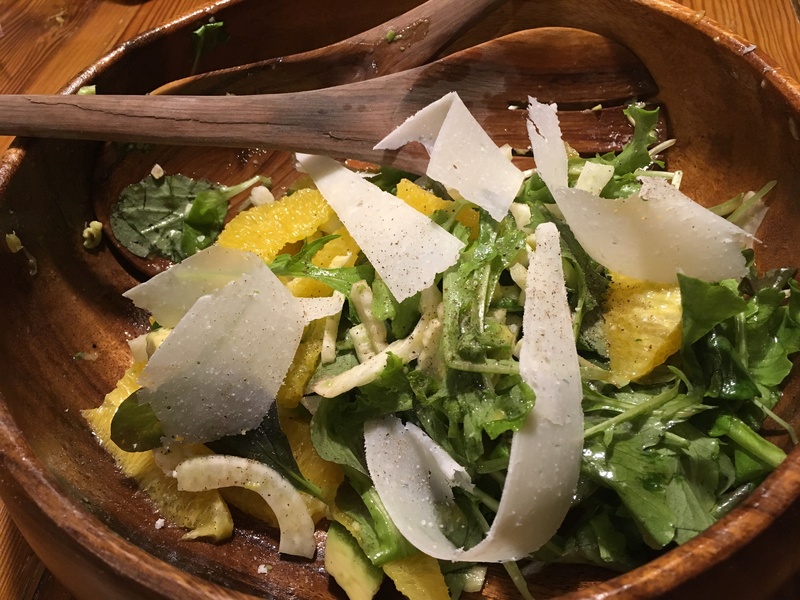 Combine arugula, fennel and orange segments in large bowl. Toss with enough dressing to coat. Add avocado and gently toss to combine. Garnish salad with long, thin strips of Pecorino Romano cheese shaved with a vegetable peeler. Serves 4.